Robert West was a travelling showman, running a coconut shy at the fairs that toured around England. Originally from Oxford, he was around 44 years old, and was used to a peripatetic life. He had arrived, in his caravan, at the village of Handsworth Woodhouse near Sheffield at 11.30pm on Friday night, 23 August, his intention being to remain and set his shy up at the village feast that weekend. He started quarreling with his wife Emma, which often happened as the result of Robert’s tendency to drink. Their son – one of their six children – realised Robert was drunk, and was arguing as a result of jealousy over his wife’s perceived behaviour. The son went off for a walk to get away from them. While he was out, at 1am, West went running up to Police Sergeant Ford of the West Riding constabulary, as he was passing the caravan on his patrols. “I’ve murdered my wife!” West shouted, and PS Ford ran with him to the van, where he found Emma lying on the floor, almost decapitated. By her side was a large knife, and the floor was covered in blood. West was taken into custody at Sheffield, and immediately made a written confession. However, he had, in front of PS Ford, first said that he was “satisfied” with the murder, and “regretted that he had not also murdered the man whom he alleges to have been intimate with his wife”. “Am I, you bad villain? You murderer of my poor daughter!” screamed his mother-in-law. The travelling showman travelled no more. He was found guilty of murder at the Assizes and was executed at Armley Prison in Leeds, on 31 December 1889. Webb’s entry in the Wakefield Prison register, from Ancestry. Sources: Lloyd’s Weekly Newspaper, Sun 25 August 1889, Illustrated Police News, 31 August 1889, Capital Punishment UK, Ancestry, British Newspaper Archive. Pin cushion embroidered by Annie Parker, using her own hair, c.1879. Photo by Nell Darby. Yesterday, I looked briefly at the Museum of London’s forthcoming exhibition on London crime – The Crime Museum Uncovered. One of the artefacts being displayed in this exhibition is a pin cushion embroidered by a woman named Annie Parker in 1879, a woman notorious, according to the museum’s publicity material, for having been arrested over 400 times for drink-related offences, and for having embroidered the cushion using her own hair as thread. I was intrigued by this simple rendering of Annie as a drunk with a penchant for pulling her hair out. Who was Annie, really? 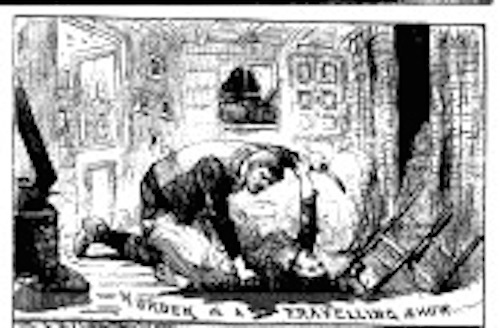 On 2 March 1879, Reynolds’ Newspaper reported that “an unfortunate” 31-year-old by the name of Annie Parker had appeared in court in Greenwich accused of being drunk and incapable. Already, the mythologising of Annie was underway, as the piece on her appearance was titled “Three Hundred Times in Prison for Drunkenness”. Annie was, at the time, living in the slum area of Mill Lane in Deptford, but had previously been ‘rescued’ by the Greenwich Branch of the Church of England Temperance Society, who had found her a home with a well-meaning ‘lady’. Annie had apparently been unable to cope with living with this paragon of virtue, and had run away back to her previous life. Yet Annie was suffering. She was an alcoholic who probably got more of a sense of security being in prison than ricocheting between workhouse, lodgings and the unfamiliar residences of well-meaning temperance society members who couldn’t possibly know how it felt to need alcohol as Annie did. In police cells, Annie complained of “suffering” and of waking up with water dripping from her hair – she was not treated sympathetically. There was little the legal system could do for Annie, either. In this case, she was simply imprisoned again, this time to one month’s imprisonment with hard labour. It was noted in the press that the 300 prior convictions mentioned had all been cases heard at Greenwich; whether an additional 100 took place elsewhere, or after this one conviction, or whether there was an element of hyperbole in the reporting of her life is not clear. What was significant is that Annie was “never out of prison more than two or three days”. “The death has just taken place in Greenwich Union Infirmary of Annie Parker, aged 35 [sic], who has been over 400 times charged before the magistrates at Greenwich Police Court with drunkenness, but never with felony, and has spent the greater part of her life in prison… She was always exceedingly well conducted in prison, and shortly before her death sent a letter to Mr Marsham, the magistrate at Greenwich police court, thanking him for kindnesses, and at the same time acknowledging that her life had been misspent. 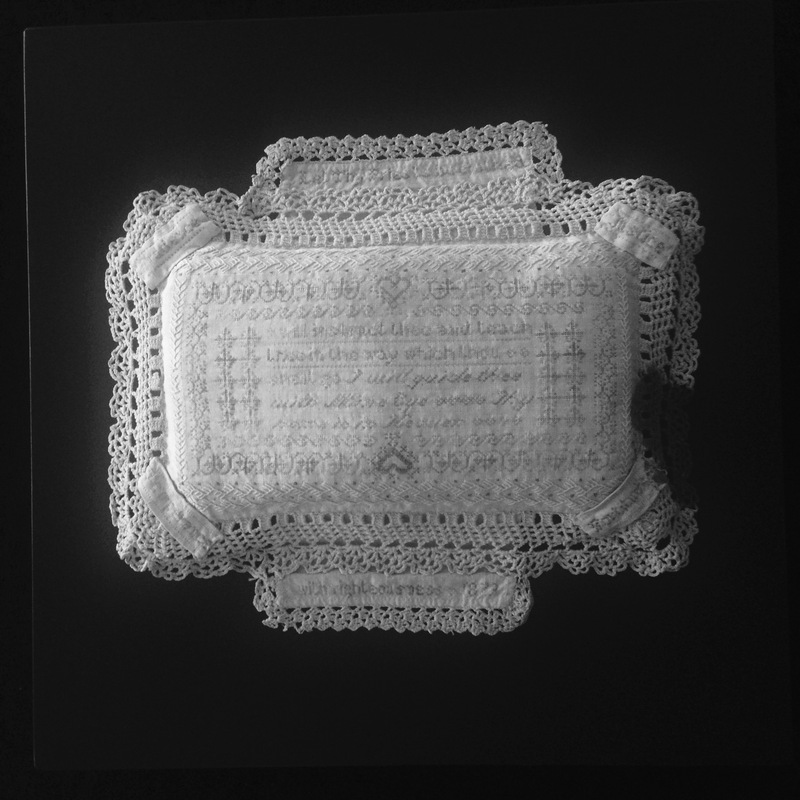 “She had a luxuriant head of hair, and on the morning of her death presented to Dr Dixon, the assistant medical officer of the infirmary, a lace-bordered sampler, on which was artistically worked, with her own hair, the hymn commencing ‘My God, my Father, whilst I stray.’ Another beautiful specimen of her hair work is in the possession of the Rev JW Horsey, for many ears chaplain to the Clerkenwell House of Detention, and a third is framed in the parlour of Mr James, Old King Street, Deptford. This obituary recognised Annie’s good traits – her attitude to others, her careful work, and her education; it even commended her for never committing more serious offences. Yet there was no attempt to analyse her addiction to ‘the demon drink’, or to query the system that shuttled Annie in and out of prison and the workhouse. This was undoubtedly a complex woman with an addiction that could not be simply stopped by the good intentions of a few women; a woman who came from a decent background but who could never combat her own personal demons. There was undoubtedly more to Annie than simply an ability to pull her own hair out to sew with – although the question of why she needed to do this is interesting in itself. Her obituary in the Illustrated Police News hints at a woman whose life deserves more attention than just a mention of how many offences she was charged with over the course of her short life. 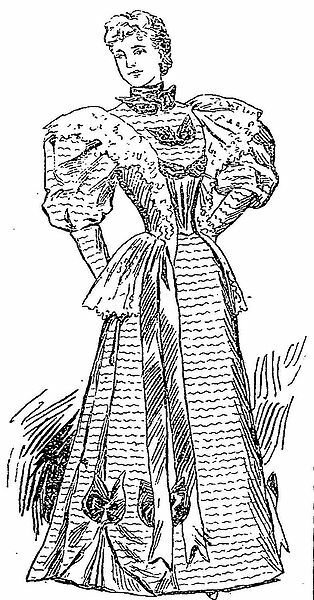 Annie’s age was reported differently in different papers, as suggested above – the newspapers tended to be a bit inaccurate when it came to the personal details of those it wrote about. Her death certificate gives her age, in August 1885, as being 38 years old (FreeBMD, deaths, Sept 1885, Greenwich, 1d 567). It is also possible that Annie herself was unsure of her exact age, and gave different ages to the magistrates and police. Agnes, aged 27, was appearing in the Divorce Court, seeking the end of her marriage on the grounds that her husband already had a wife living. She had married just two years earlier, to a 39-year-old baronet named Greville Louis John Temple – the couple marrying on 8 March 1897 at St Peter’s, Pimlico. However, a year later, in August 1898, a court case was heard in New York. A woman named Estelle Wassall was seeking a divorce – from Greville Louis John Temple. Estelle had married Greville Temple in 1895, but three years later, he had confessed to her that he had since married Agnes in London. Agnes too sought a divorce, filing the papers on 3 March 1899. Greville Temple failed to appear at the Central Criminal Court to defend himself, and Agnes was duly awarded a decree nisi. Why did Greville fail to defend himself? There was good reason. On 20 June 1898, Greville had been convicted of bigamy at the Central Criminal Court, after Estelle’s case had been heard in the States. Greville was given a harsh punishment – he was sentenced to five years’ penal servitude (at a time when others convicted of the same offence were more likely to receive six months). He was therefore already in prison when Agnes sought the divorce from him, his conviction providing her with a clear-cut case. It also turned out that in addition to being a bit of a cad when it came to marriage, the bigamist was also anything but a baronet. The grand Greville Louis John Temple was actually William Woodman Runcieman, a chancer from Chelsea. Born there in 1858, he was the son of a Welsh commercial traveller, and named for his father, his middle name being his mother’s maiden name. He spent his early childhood in Ewell in Surrey, before being sent to stay with his uncle, an army schoolmaster, at the Royal Military Asylum of Children of Soldiers in the Regular Army, back in Chelsea. He was educated there, under his uncle’s supervision. Runcieman is not to be found in the 1881 census; the next time he appears in the archives is in April 1889. He was convicted at the Oxfordshire Easter Quarter Sessions of obtaining an endorsement to a cheque by false pretences – with an additional charge of larceny not proceeded with – and was sentenced to five years’ penal servitude. Runcieman’s initial conviction in 1889. He served his sentence in Dorset, at Her Majesty’s Convict Prison in Portland, where he was listed as a convict in 1891. Therefore, when he was convicted of bigamy, his earlier conviction was considered and he was given a harsher sentence as a previous offender. Agnes’s decree nisi granted on 12 June 1899 and the final decree on 22 January 1900. She may have had reason to want to divorce Runcieman quickly, for as soon as the final decree was issued, she married again. Conned by a man who said he was a baronet, Agnes’s second husband made no such claims. 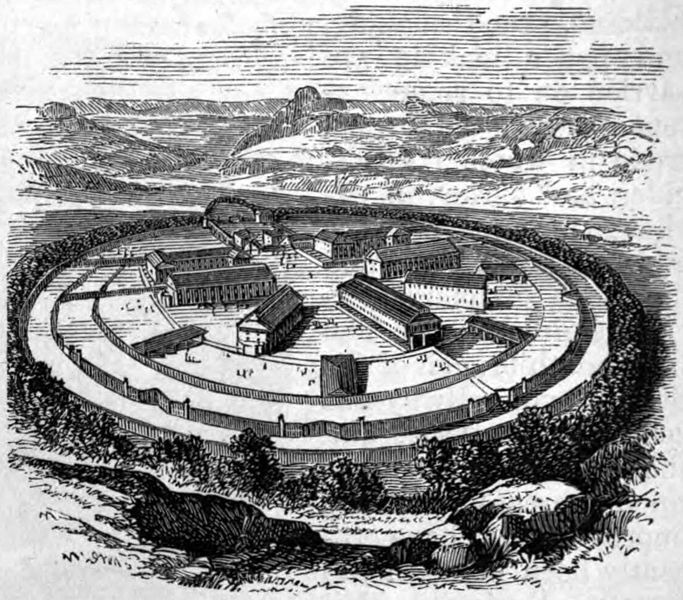 Meanwhile, William Runcieman continued to live a life not suitable for a baronet – this time, in the confines of Dartmoor prison. Sources: The Era, 17 June 1899; Old Bailey Online, trial of William Woodman Runcieman, bigamy, 20 June 1898 (t-18980620-426). 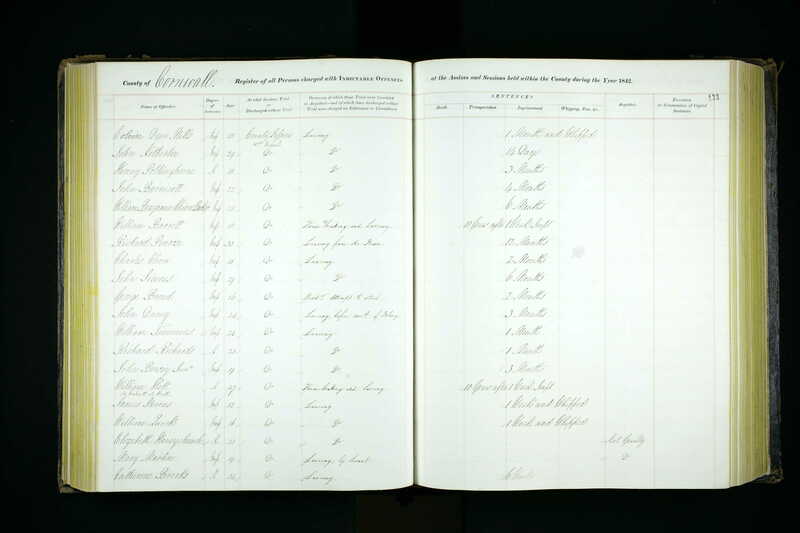 1871 census, 1891 census, 1901 census and Oxfordshire Quarter Sessions register (Easter sessions, 1889) via Ancestry. In 1839, in the week before Christmas, several people were brought before the magistrates at Worship Street Police Office in Shoreditch, charged with entering various gardens in order to break and destroy evergreen trees and shrubs. One of those accused was an 11 year old boy, named Booth, who worked at the Queen’s Printing Office on a wage of eight shillings a week. Booth was found guilty, and received a ‘severe lecture’ from the magistrate, Mr Broughton, before he received his sentence. He was ordered to pay a fine of 40 shillings – 20s for wilful damage and another 20s to cover the value of the tree – or face imprisonment. The fine represented five weeks’ wages. Whether or not Booth was able to find the fine, it did not make a happy Christmas for him. It’s always nice to see a bit of compassion evident in the verdicts of 19th century jurors – after all, it wasn’t always displayed, and many a poor man and woman ended up at the gallows despite, to modern eyes, having valid reasons for having committed some thefts, for example. But one case before the Surrey magistrates in 1838 saw a man sympathised with for being so hungry that he stole a pair of trousers – not in order to eat the trousers, but to sell them on in order to be able to buy a bit of food. The man was Thomas Miles, described in The Times as “a poor, half-famished-looking-fellow”. He was of weak intellect, and had been unable to find any work. After having failed to find anything to eat for two days, he had applied to the local Poor Law Guardians for relief. Thomas left the guardians – but he had tried and failed to find work already. He was desperate – and desperately hungry. He was about to walk past a clothes dealer’s shop, when he noticed a pair of trousers hanging up on a hook outside, ready to tempt buyers. He grabbed them off the hook, thinking that he could sell them to a second hand dealer, and make a few pence for some bread – just like the guardians had told him to. Unfortunately, not being very quick, Thomas had failed to notice other shoppers watching him. He was chased, and caught, still with the trousers in his hand. Thomas Miles was lucky, then, in one respect. He was committed to Brixton Gaol for one month, which meant a full month of being fed – something which the poor law guardians were not able to do for him. The first of two posts to mark my recent holiday in Cornwall…and neither of them is related to smuggling! In 1842, two boys, James Stevens, aged 12, and 16-year-old William Quick, appeared in court before J King Letherbridge, accused of stealing a copper funnel. The boys were from the coastal town of St Ives, and the funnel was used as a ship’s chimney. They had stolen it from a ship called the Agnes, which had been laid up for the winter in the town’s harbour. The copper would have been valuable, but it had been an opportunistic crime, the boys seeing the funnel on the ship’s deck, nobody being around, and so taking it. Newspaper reports were conflicted over what had happened to the funnel – stating both that it had been found in the possession of the boys, and that they had also sold it in two parts to two local marine store dealers. But the two boys quickly confessed to the theft, and the jury equally quickly found them guilty. They were given one week’s imprisonment and ordered to be privately whipped. This whipping would have been done with a birch; the whipping of boys for larceny was a common punishment, and could at this time be ordered by a magistrate at petty sessions. But Quick and Stevens could have counted themselves lucky. Others younger than them were receiving harsher punishments at around the same time. Just three years later, an eight year old boy was whipped in addition to serving a month in jail for stealing boxes in St Pancras, London. Did the boys’ whipping stop them from committing crimes? Well, there is no further entry for William Quick in the criminal registers, so he may have gone on to live a blameless life after his initial offence. But four years after the funnel theft, James Stevens, now 18, was convicted of house-breaking. His previous record was held against him, and he was transported to Australia for seven years.